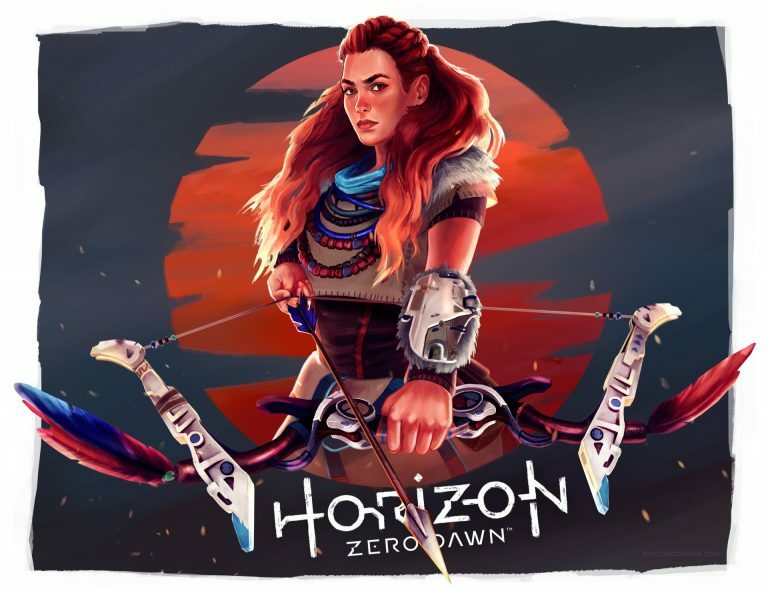 Horizon Zero Dawn is an action role-playing video game developed by Guerrilla Games and published by Sony Interactive Entertainment. 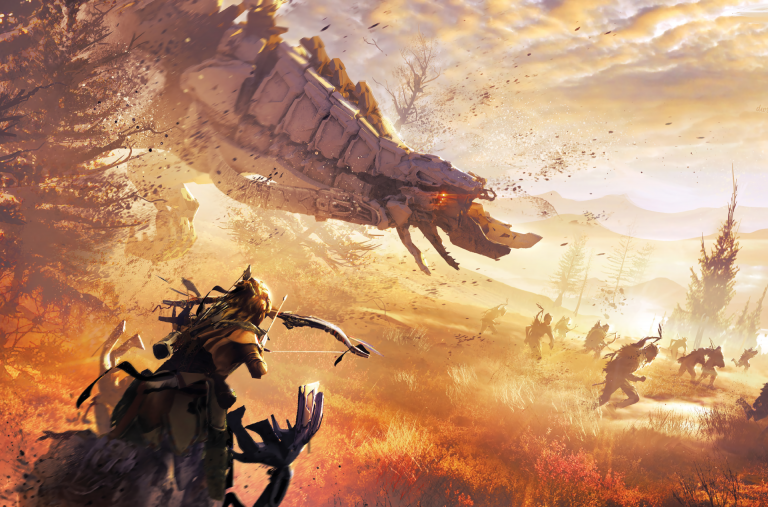 The plot revolves around Aloy, a hunter and archer living in a world overrun by machines. Having been an outcast her whole life, she sets out to discover the dangers that kept her sheltered. The player uses ranged weapons and a spear and stealth tactics to combat the mechanised creatures, whose remains can be looted for resources. A skill tree provides the player with new abilities and passive bonuses. 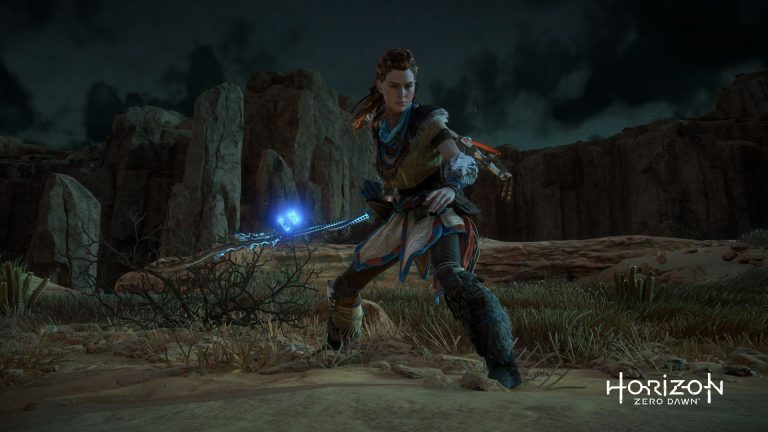 The game features an open world environment for Aloy to explore, while undertaking side and main story quests. 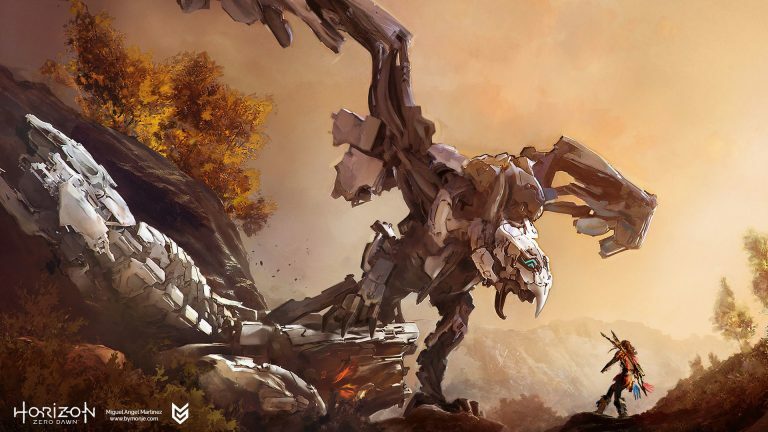 It was released for the PlayStation 4 in early 2017.